New research from the Max Planck Institute for the Science of Human History and the Saudi Commission for Tourism and National Heritage reveals that a grouping of stone hand axes made by ancient humans in the Arabian Peninsula date back less than 190,000 years. 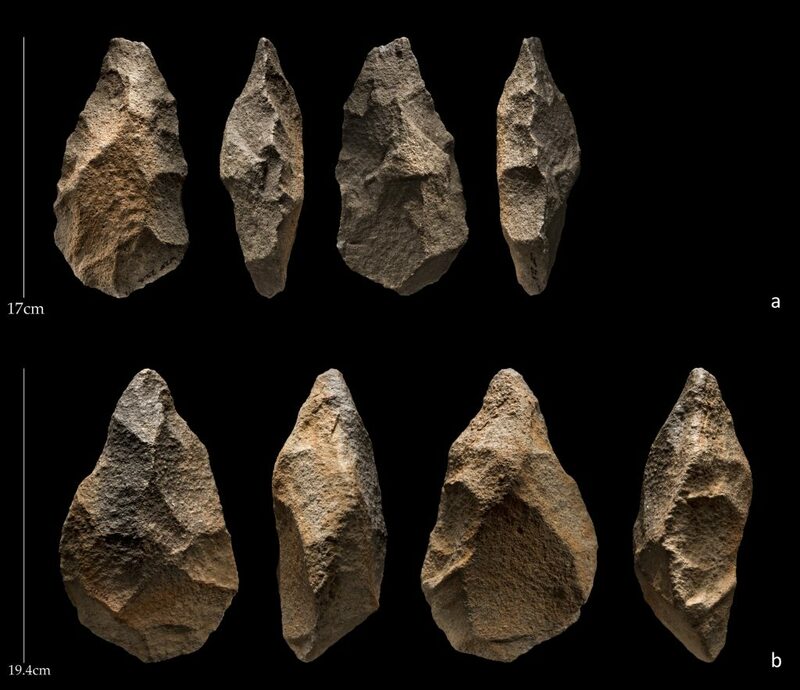 Made in the style of Acheulean, the longest-lasting tool-making method in prehistory, the young age of these tools are notable because Acheulean tools dating back over 1.5 million years have been found in the same location — Saffaqah, Saudi Arabia. 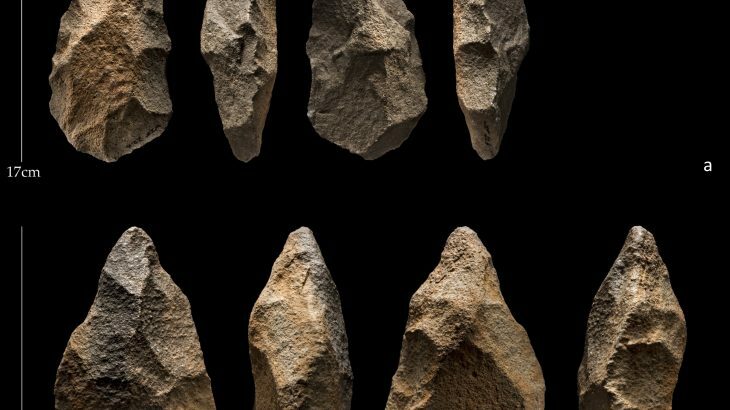 This means ancient humans were making tools on the same site for hundreds of thousands of years. Saffaqah is the first stratified Acheulean site in the Arabian Peninsula, and over 500 stone tools and remnants of their creation have been recovered from the area. What’s more is that this new evidence of late and recent Acheulean tool-making shows that the ancient hominins in this area used now extinct rivers to move deeper into Arabia during periods of increased rainfall. Therefore, these hominins were intelligent and took advantage of “greening” within their arid environment. The hope is that these findings can help researchers better understand the evolutionary cousins to Africa’s Homo sapiens and if/how they may have interacted when Homo sapiens left Africa. Knowing that hominins were located in the Saffaqah region for a large chunk of time, experts believe this meetup could have occurred near this region, however, more research must be done to come to that conclusion.